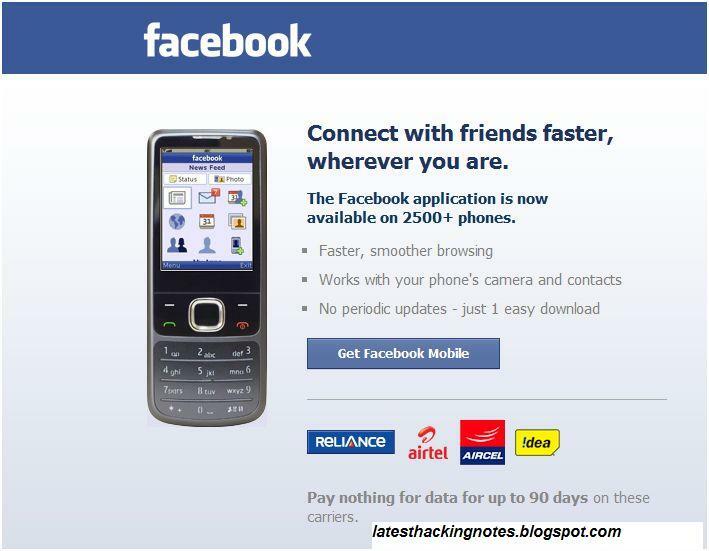 There is a good news for Reliance,Aircel,Airtel and Idea users as facebook as they are providing free facebook usage for 90 days through Facebook mobile app.You can add the facebook application to almost any phone.That means finding friends and sharing the latest updates and photos is more easier than ever. These operators are letting you download and use the Facebook mobile application for up to 90 days without paying for data. To install Facebook mobile app visit m.facebook.com/install/ in your default mobile browser.